Is Improper Application Of VCI Packaging Creating Problems? Where do your rust-prevention methods stand today? Rust-prevention methods are only effective until they’re not, and you might fail to see where you went wrong. Even if you’ve switched methods and improved packaging, it’s always important to look for holes in your metal parts processing and manufacturing activities. If there’s a way in, corrosion is going to infiltrate. When you examine every step of your manufacturing process, look at the method as well as the application. If you haven’t made the switch to VCI, the time may have arrived. And if you’re already using VCI, you need to ensure that you’re using it correctly. Does Your VCI Packaging Method Match Your Application? Be wary of this untruth: VCI paper works for every application. Wax-coated VCI paper is designed to keep any grease and oil on a metal part while preventing those substances from leaking out of the package and destroying the shipping compartment. The wax also stops moisture from infiltrating the packaging environment, and it conforms closely to the shape of any odd-sized metal part. Poly-coated VCI paper is puncture-resistant paper that is perfect for heavy, sharp metal parts. The moisture protection provided by poly-coated VCI paper is extremely effective as well. When shipping larger, heavier parts, reinforced VCI paper provides the strength and versatility to ensure safe protection of the metal part. It also doubles as a liner when shipping multiple parts in a single shipping container. VCI Bags: VCI bags are transparent, which allows your staff to easily and quickly inspect, inventory and identify metal parts. Ease of use is a big plus for this method. Simply place your metal part in a bag and let the VCI do its job. VCI Film: This method is available in sheets, covers or bags. The best application of large sheets of VCI film or covers is with any large metal part that’s best chance against rust protection is to be wrapped completely. VCI Foam: Placing VCI foam inside enclosed metal materials or between metal parts packaged in bags increases the saturation rate. This means better, more comprehensive corrosion protection – faster. VCI Emitters: Electrical parts need protection, too, and emitters are the perfect packaging material for electrical cabinets built from metal sheeting. Foam and wire strip emitters should be used on metal parts or materials with unusual dimensions. VCI packaging that doubles as a shipping material is cost-effective because it saves on other packaging material that fails to provide protection against rust. 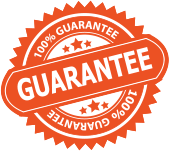 The kind of VCI protection you need is one that’s versatile in use as well as easy to apply and remove. The great thing about VCI packaging is its ability to work on the molecular level to stop in-air contaminants from latching onto a metal’s surface and causing corrosion. The fact that VCI doubles as shipping packaging only increases its value for any organization that makes its money on not only manufacturing metal parts, but also storing and shipping them to customers across the country or overseas. 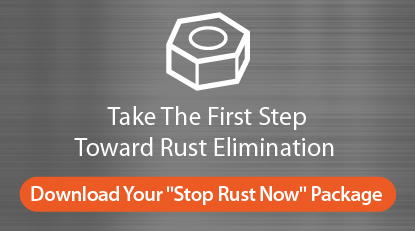 Get the tools you need to improve your rust-prevention methods – from packaging to handling – by downloading our STOP RUST NOW package below.